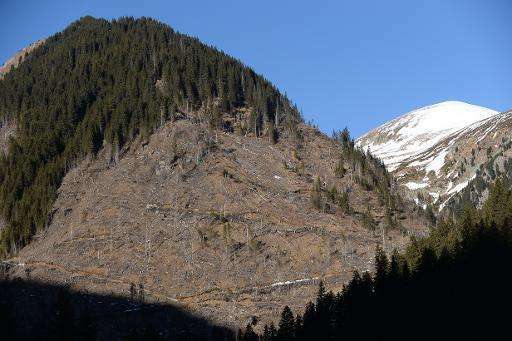 Romania, which has the largest area of virgin forests in the EU, is also the country most affected by illegal logging in Europe, a major environmental advocacy group said Monday. 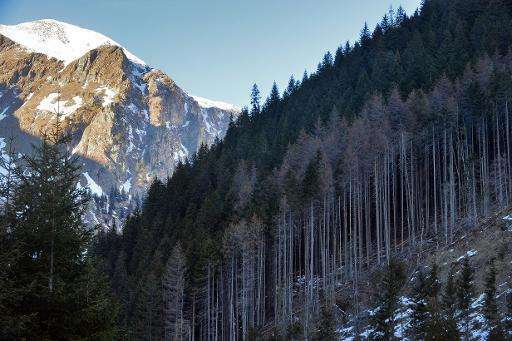 The country has the most important forests in Europe "in terms of biodiversity, in terms of size, in terms of forest intact landscapes," said Alexander von Bismarck, director of the US branch of the Environmental Investigation Agency (EIA). But the country also "has the most acute problem of illegal logging today in Europe", he warned. Romania's woodlands are home to more large mammals than all other European states combined, excluding Russia, according to the EIA. The animals that roam its forests include brown bear, lynx and wolves. According to Romanian authorities, some 80 million cubic metres (2.8 billion cubic feet) of wood was illegally logged in the country over the past 20 years, resulting in a loss of five billion euros ($5.4 billion). EIA accuses the Austrian wood products company Holzindustrie Schweighofer which dominates the forestry sector in Romania of "willingly and knowingly accepting illegally harvested timber". At a press conference, the environmental group presented hidden camera footage it claimed shows Romanian Schweighofer officials agreeing to a possible purchase of illegally harvested timber and even promising bonuses to the seller. "It might seem unspectacular but it is the root of illegal logging... And the deals are made and the laws are broken and communities have their forests stolen," Von Bismarck said. EIA's video comes ahead of a vote in Romania's parliament on a new forest law which aims in particular to limit the cutting down of trees. Holzindustrie Schweighofer, which had an annual turnover of 470 million euros ($511 million) in 2013, has denied the charges. The company said in a statement that it "respects the laws" and will "launch an internal investigation" following the broadcasting of the images. Schweighofer however criticised Romania's proposed new legislation saying it interfered "in the affairs of private companies" and would "restrict the free movement of goods which is contrary to the standards set by the EU." "According to Romanian authorities, some 80 million cubic metres (2.8 billion cubic feet) of wood was illegally logged in the country over the past 20 years, resulting in a loss of five billion euros ($5.4 billion)." That's no acute problem, it's chronic. There are quite serious floods too, which are probably linked to deforested mountain sides.